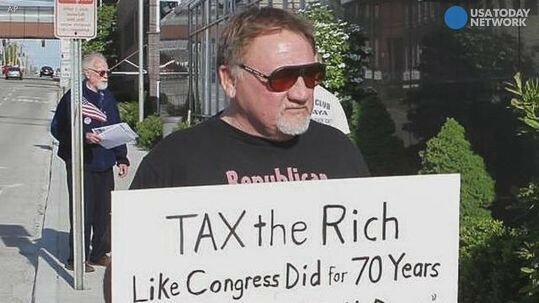 The Alexandria shooting has forced the Radical Left and its allies to temporarily tone down their toxic rage of the past several years. But does anyone seriously believe this lull in the insanity will last? 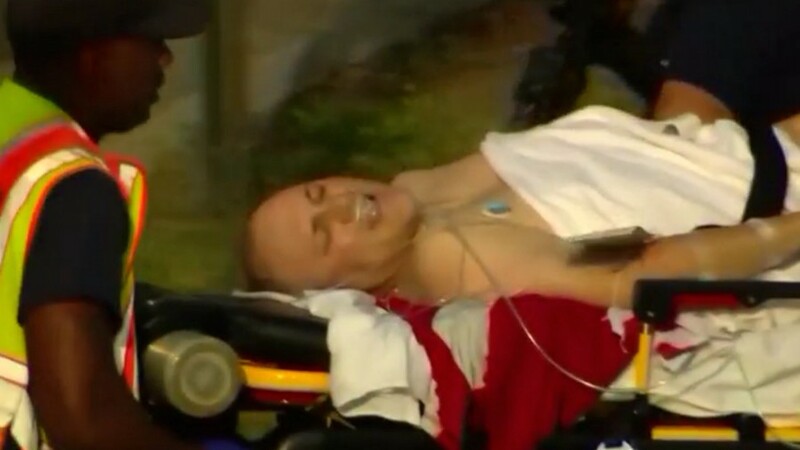 Truth is, the shootings of GOP House Whip Steve Scalise and four others are only a symptom of a much larger problem: the ongoing threat to free speech through intimidation, corrupt government agencies or acts of violence. This tacit and even overt support for such methods by so-called progressives — and their fellow travelers in the mainstream media — is destroying our democracy. The phenomenon has manifested itself from town hall meetings to college campuses, where left-wing demonstrators have forced the cancellation of speakers they disagree with by shouting them down or committing violence. In fact, research by the Foundation for Individual Rights in Education shows that 93 percent of American colleges “prohibit constitutionally protected speech” — a condition exacerbated by harsh limits on speech enforced on universities by the Department of Education during the Obama Administration. And now this cancer has spread to a baseball field in Virginia. — Kimberley Strassel, a Wall Street Journal columnist and author of The Intimidation Game: How the Left Is Silencing Free Speech, in an April speech delivered at Hillsdale College’s Allan P. Kirby, Jr. Center for Constitutional Studies and Citizenship in Washington, D.C.
Conservative columnist Peggy Noonan has criticized the media’s prominent role in stoking the Left’s almost irrational rage. “Too many in the mainstream media — not all, but too many — don’t even bother to fake fairness and lack of bias anymore, which is bad: Even faked balance is better than none,” she wrote in her weekly Friday column (June 16) in the Wall Street Journal. Of course, the Left tried to shout her down. But angry Twitter responses to her column reinforced Noonan’s criticism of their vitriolic outrage. At minimum, the Left’s response shows that many of them are incapable of civil debate. Despite these seemingly impassable divides, our nation still has plenty of problems to solve, from immigration, healthcare, taxes, education and our aging infrastructure to fighting terrorism, crime, drug abuse and the potential for abuse of power by government and law enforcement. Then again, the Left’s uncontrollable infatuation with toxic attacks may be too much for reasonable people to ever overcome. That includes Kathy Griffin’s horribly failed attempt at ‘comedy’ in May with the mock beheading of President Trump. This was followed by a controversial adaptation of Shakespeare’s Julius Caesar that portrayed the assassinated Roman leader as President Trump. Free speech by artists and entertainers? Certainly, just as it’s free speech, in an act of CIVIL disobedience, to use non-violent means to protest the protesters themselves. But in an era in which ISIS and other Muslim terrorist ideologues really do decapitate their victims and actual threats are made to the White House, a mock beheading or a left-wing version of ‘et tu, Brute?’ are just more examples emotionally out-of-control progressives. Let’s never forget that Free Speech also requires some restraint in a civil society. Just because you have the ‘right’ to do something or say something, doesn’t mean you actually have to do it or say it OR that the media has to fuel the fire of irrationality by providing overwhelming, even fawning coverage just because they hate Trump too. And we all know the media’s outrage would be off the charts if someone held a model of the severed head of President Obama or performed a mock assassination cheered by ‘sophisticated’ but very hateful Manhattan residents. Reporters would toss out their support for so-called ‘artistic expression’ faster than they could say Saul Alinsky. Kathy Griffin Trying to be Funny. Ultimately, the Left’s anger and outspoken frustration has been expressed in the ongoing Trump-Russia probe, which the president claims is nothing more than a political witch hunt because Democrats are frustrated over losing the White House. Dershowitz, a professor of law, emeritus, at Harvard University, later elaborated on these views in an appearance on Fox’s Tucker Carlson Tonight. Still, we have to keep trying to fix things. But honest debate among a free people in a civil society only can happen when free speech and diverse opinions are actually encouraged, not fought at every level. We need to re-learn how to let the court of public opinion decide what’s acceptable instead of the government or the fascist wannabees that seem to dominate college campuses and the Democratic Party’s leadership. Thankfully, that now includes a tremendous victory for constitutionally supported Free Speech in an 8–0 vote by the U.S. Supreme Court. The justices vigorously overruled attempts by the Obama Administration to suppress free speech, even speech that’s offensive. Hopefully, the Trump administration will continue this trend by eviscerating onerous Department of Education mandates that are part of an Obama legacy to weaken free speech under the guise of political correctness taken to insane levels. 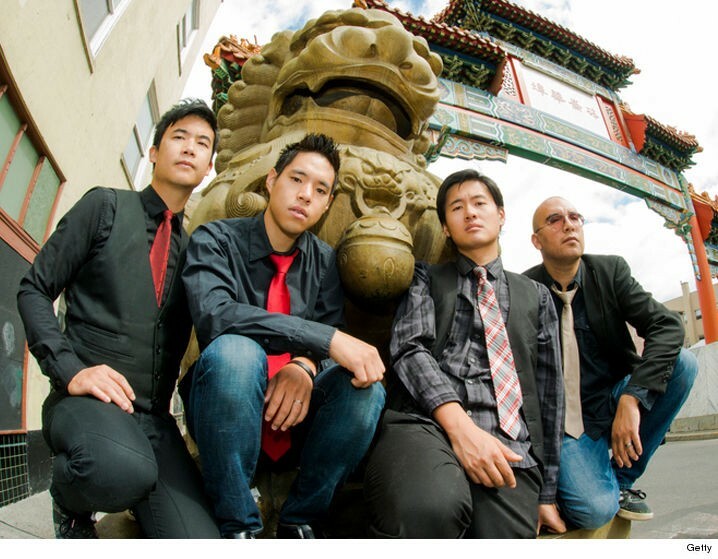 The Washington Post and others reported that the court’s ruling enables “the Slants,” a dance-rock band, to use a name even if many Asian-Americans find the term derogatory. Yet the Left has strangely taken the opposite tact, seemingly to discourage free speech by any means necessary. In fact, many progressives do everything possible to mock, degrade or otherwise hurt anyone they disagree with, whether it’s at a live event or throughout social media. In other words, the new normal is to ALWAYS disrespect others first and, of course, to NEVER listen. Just SHOUT and CURSE and throw things at each other. Apparently, that’s the gift of social media and the 24/7 news cycle and, unfortunately, it’s embraced far too often by those who consider themselves progressives. But there comes a point where we have to ask ourselves, is it truly useful to keep embracing the cancer of Identity Politics? What’s the benefit to good democracy in trying to silence the other side by continuously calling them sexist or racist or homophobe? It’s almost delusional to convince yourself that you can always invalidate another person’s point by continuously declaring sole ownership of moral purity. - Strassel said in an edition of Imprimis, a monthly digest of Hillsdale College that was adapted from a speech she delivered on April 26, 2017, at Hillsdale College’s Allan P. Kirby, Jr. Center for Constitutional Studies and Citizenship in Washington, D.C., as part of the AWC Family Foundation Lecture Series. The real question becomes how long it will take our nation’s social fabric to recover — if ever — from eight years of polarization by the previous administration, perhaps the most divisive in modern political history. President Obama and his acolytes shamefully and, perhaps illegally, used the immense power of the IRS and other agencies to intimidate conservative groups and those who donated money to them. If there’s any justice in this world, a grand jury will be called or a special prosecutor appointed to determine the truth once and for all about rogue IRS agents and their intimidation tactics to hinder free speech AND how far their actions reached up the chain of command. And while we’re speaking about the chance at justice, there also remain the many unanswered questions about Hillary Clinton’s e-mail scandal or the Clinton Foundation’s possible quid quo pro and, therefore, corrupt financial relationships with foreign adversaries. But even those potential investigations pale in comparison to the Radical Left’s relentless and vicious assault on one of our most cherished rights: Free Speech. One partial solution, as Strassel and others contend, would be to restore at least some privacy rights to people who just want to express an opinion or support a cause they believe in. — Strassell, quoted in an adaptation of her April speech in Imprints, a publication of Hillsdale College. It remains unclear, however, whether we still have enough in common as American citizens to try and live up to the dream that is the U.S. Constitution. Will the Left learn anything from Alexandria? Or will progressives keep hindering free speech and drive us toward their 21st century vision of warring tribes (AKA ‘Identity’ politics) as the USA becomes more like the Balkans and less like America every day. The irony is that most of these political anarchists feel completely justified in whatever they do because of their hysterical hatred of President Trump. They fail to realize that they’re probably nothing more than useful idiots for the likes of George Soros and other Leftist groups trying hard to plunge our country and the rest of the world into the abyss. Ultimately, we either succeed or fail together. But that can’t happen until more progressives recognize that respect for rights is a TWO-way street. The bottom line here? We can try harder — ALL of us — to engage in vigorous and diverse but CIVIL discussions — always trying to remember, as mature adults should in a civil society — that we won’t always win every election. A nine-month pout going on a year because things didn’t turn out the way we wanted them to is never the answer. So, maybe we can actually strive to encourage diversity of opinions to create RATIONAL debates on the host of problems facing our country. Or, maybe it’s just easier to hate and shout down Free Speech that you disagree with by name calling or riots or murders? And the irony is, it’s still up to us, ALL of us.